Rolls-Royce unveiled a new convertible Tuesday that the luxury automaker is calling its "sexiest" yet. The model is called the Dawn, and it is definitely not your usual Rolls. Its contours are much more fluid, with the sides flaring out around the rear wheel wells. The front end is more rounded. It is powered by a 563 horsepower V12 engine. The car shares much of its engineering with the Rolls-Royce Wraith, a two-door hardtop, but the body is almost entirely different. Prices are expected to start around $400,000. The Dawn was unveiled at the Frankfurt Motor Show, and Rolls-Royce designers chose an exterior paint color, Midnight Sapphire, that mimicked the color of a nighttime sky. Inside, the leather seats were dyed in vibrant orange so that, as the top is lowered, the bright interior is revealed. The Dawn's name harkens back the the Rolls-Royce Silver Dawn, introduced in in the early 1950s as Great Britain was recovering from the destruction of World War II. Only 28 convertible Silver Dawns were built between 1950 and 1954. 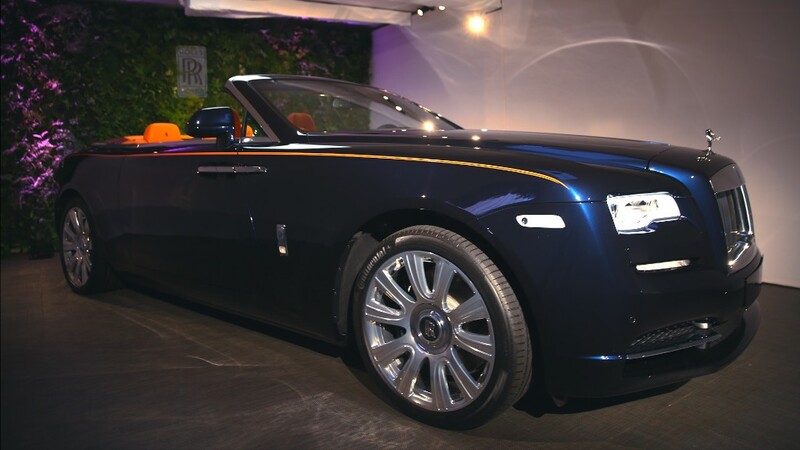 As in other Rolls-Royce cars, the Dawn's doors open "backwards." They're hinged in the rear so that occupants step out through an opening in front of them rather than behind them as in most cars. Because that can make the car's big doors a little hard to close from inside, there are buttons that operate a door-closing mechanism. 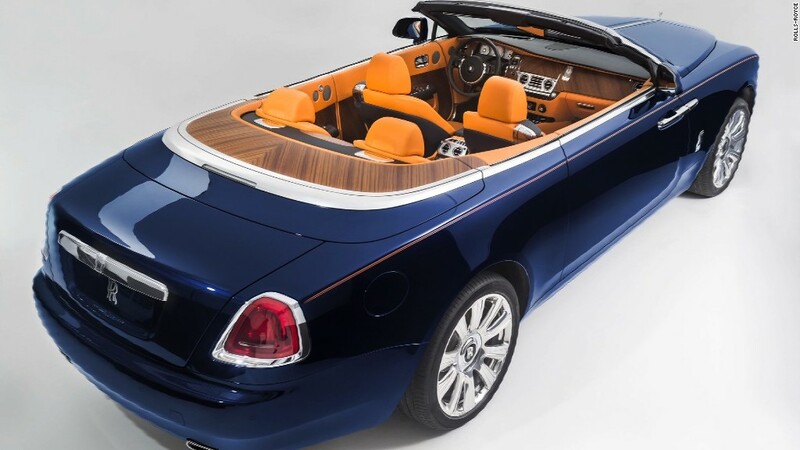 Rolls-Royce designers did not want to compromise on backseat space, as convertibles often do. "In creating Dawn, we have accepted no compromise to the comfort and luxury of four adults who want to travel together in the pinnacle of style," said Giles Taylor, director of Rolls-Royce design, in a statement. Pains were taken to make sure the cloth top would work as quietly as possible. It can open and close at speeds of up to 30 miles an hour. The Dawn will not be the only convertible in the Rolls-Royce line-up: The Phantom Drophead Coupé is a convertible version of the Phantom. Rolls-Royce's headquarters and factory are still in England but, today, it's a division of the German luxury automaker BMW.